The Hold, which is one of the 21 key delivery projects of the ‘Ipswich Vision’, should open its doors in time for the 900th anniversary of the Record Office’s oldest document in 2019. Located on the university’s north campus beside Ipswich’s historic waterfront, the new facility, The Hold, will house the bulk of Suffolk’s nationally and internationally significant archives and a range of archaeological records. As well as providing teaching and research space fit for the 21st-century, it will also form a unique visitor attraction and an important cultural resource for the community. The project is supported by the Heritage Lottery Fund who have provided a grant to help the partners develop their proposals and apply for a delivery grant of over £10m later this year. Suffolk County Council is working in partnership with the University of Suffolk to make this vision a reality; ‘The Hold’ will contain an auditorium, teaching spaces, fit-for-purpose public research facilities, state of the art storage for the archives themselves, as well as retail- and exhibition space and a café. 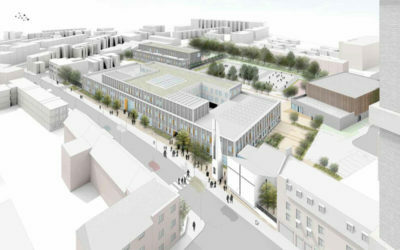 Architects Pringle Richards Sharratt have won the contract to develop the design for the new building. They will lead a team of consultants to develop the design, have a diverse portfolio including similar projects to The Hold, such as the Hull History Centre and the Black Cultural Archives in Brixton. 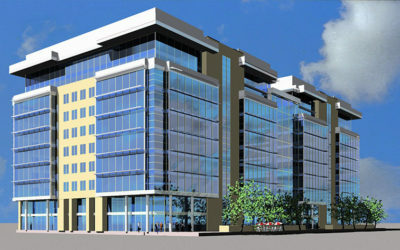 The conceptual design uses different ground floor levels linked by stairs and a shallow ramp to accommodate the difference in level between the entrance at the northern and southern ends of the building. The ramp and stairs form part of a central spine which links the southern and northern ends (the public and academic areas) of the building; to the north the internal spine connects to an external paved area with a central island of soft landscaping. Pitched roofs clad in standing seam zinc cladding are to be used over the strong rooms and public search room; the remaining areas are to have flat roofs with a single ply membrane covering. As an alternative to the steel frame, consideration is being given to replacing all or part of the steel elements with glulam beams and columns and load–bearing walls of CLT construction. Atom Consultants act as the Principal Structural Designers for the project, responsible for the design of all structural elements of the building, including foundations and superstructure. The Primary Structural Frame adapts a concrete structure for the Strong Room Area. Steel Frame is used for the Educational Facilities and Seminar Rooms. Glulam and CLT panels are used for the structure containing the Public Access Areas to enhance the visual aspects of the space. We are also undertaking Civil Engineering Design, which includes all underground drainage systems, retaining walls, paved areas and surface water attenuation. BIM is used throughout all aspects of our design to develop the design details and facilitate co-ordination with the Project Design Team. 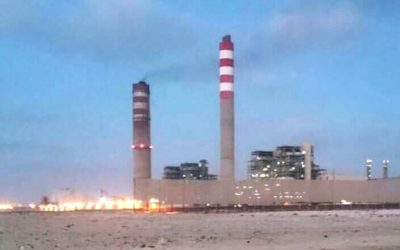 Sidi Krir 3&4 power plant, a 685 MW natural gas-fired power complex, located 30 km west of Alexandria, is Egypt’s first BOOT (Build-Operate-Own-Transfer) power project and is one of the largest private power stations in the Middle East. 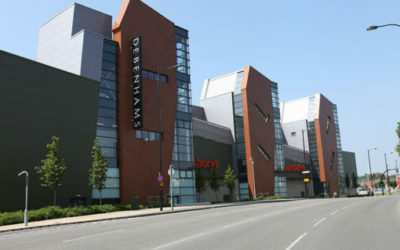 The 46,000 m2, £59 million Trinity Walk Shopping Centre in Wakefield West Yorkshire, described by Wakefield Council as “the most important City Centre development for more than 20 years”, boasts more than 40 stores and 1000 car parking spaces right in the heart of Wakefield, transforming the city into a sub-regional shopping destination. 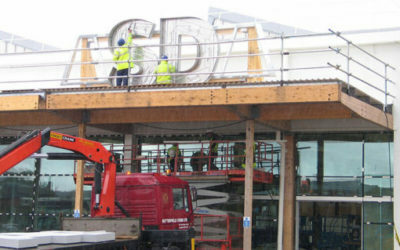 ASDA (part of the Wal-Mart Stores Inc.) has long strived to become 100% energy efficient, hence they were the first in UK to build a sustainable timber -framed store, which is 20% more energy efficient than their traditional stores, as well as lowers the store’s carbon footprint by as much as 50 per cent. We developed the designs for the prototype, which were to become a blueprint for all ASDA’s future eco-stores. Creating a perfect canvas for the Royal Bank of Scotland brand, their 11.431 m2 customer-facing facility is a landmark building on the edge of the Spinningfields development in Manchester. 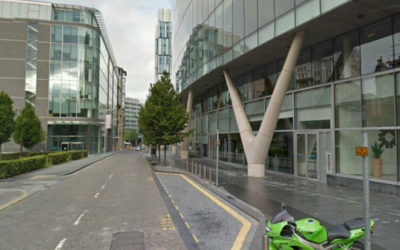 Referred to as the Canary Wharf of Manchester, the unashamedly modern grade A office accommodation creates a real presence on to Deansgate and the Spinningfields Square. Bombardier is the world’s leading manufacturer of both planes and trains. Their vast offering of products includes trains, rail equipment and control solutions for all market segments, as well as category-defining business jets and commercial aircraft. 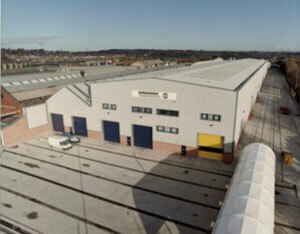 Atom Consultants were commissioned to design the extension and redevelopment of their Bombardier Prorail site in Horbury near Wakefield, where their class 220 Voyagers were built. Atom Consultants has designed 3 of the Next Generation Clubs, now known as David Lloyd Leisure Clubs. David Lloyd Leisure is synonymous with high quality fitness facilities, employing some 6,000 staff, including an expert health and fitness team of over 1,800 and the contracted services of over 450 tennis professionals. 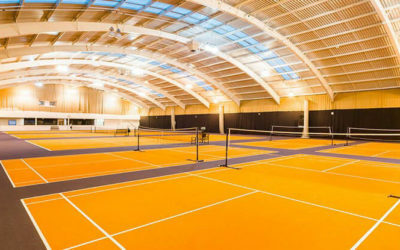 Their racquets facilities are second to none with 800 tennis courts, 180 badminton courts and 140 squash courts across the UK. 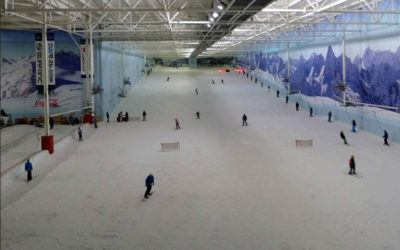 The Faulkner Browns Architects’ designed indoor ski centre Chill Factore is home to the UK’s longest (180m) indoor skiing and snowboarding slope and the coolest family day out in the North West. The development of an Alternative Design Scheme for the primary structure by Atom Consultants helped to bring this project within budget for the main contractor Sir Robert McAlpine.